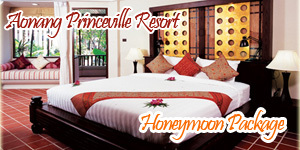 Browse > Home / Koh Phi Phi / Phi Phi Banyan Villa Resort. Phi Phi Banyan Villa Resort. Working Hotel Partner, Phi Phi Banyan Villa, a comfortable and convenient villa property adjacent to the public beach with sun deck . 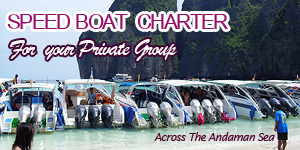 Phi Phi Banyan villa is a part of Phi Phi Hotel Group, located right in the heart of Phi Phi Island. It’s only 5 minute walk from the main pier with easy access to secluded beaches and the local village. Shopping arcades of Thai goods, souvenirs and night bazaar are just a stone’s throw away from the hotel. There are 40 rooms of banyan style and 22 rooms of banyan style. All room are applied for single or double occupancy only. Above rate are inclusive of Government tax and breakfast. No charge for child under 10 years old age sharing existing bed with adults ( maximum 1 child per room ). No charge for breakfast for children under 5 years of age. For children 5-9 years, compulsory ABF charge of 120THB per child is applicable. Baby cot is free of charge and on request only. Air Conditioning, Hot & Cold Shower, Cable TV ,Tea/ Coffee and capucino free of charge, Room to room phone, Western toilet & amenities, Beach & pool towels.